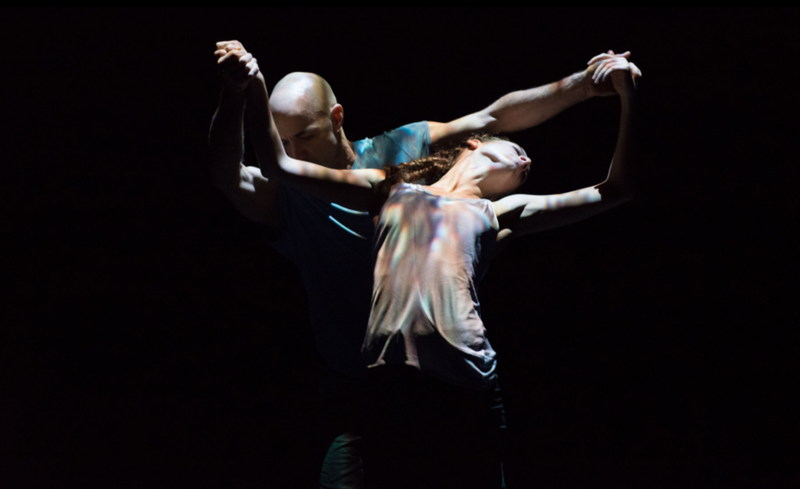 Still Current is an evening of work by the internationally acclaimed Sadler’s Wells Associate Artist Russell Maliphant; it features newly created duets and trios danced by his remarkable company and by Maliphant himself. Joining Maliphant on stage are Carys Staton, whose energetic elegance and dedication are showcased in the new creations and Dickson Mbi, famed for his strength and incredible popping style. Still Current also features Thomasin Gülgeç, whose fluid agility and grace are demonstrated in new works, and in the award-winning solo Afterlight (Part One), included as part of the programme. There is a diverse physical language across the pieces, integrating qualities and vocabulary from contemporary dance, ballet and martial arts. The lighting design for the evening is by Sadler’s Wells Associate Artist Michael Hulls. Musically, the evening includes an eclectic mix of sound with compositions from Erik Satie, long time collaborators Andy Cowton and Mukul and a newly commissioned score by the sublime Armand Amar, well known for his film scores. Costume designs are by Stevie Stewart with animation created by Jan Urbanowski.